ISQOLS proudly endorses several journals that align with our mission to promote Quality-of-Life, Wellbeing, Happiness research and studies. Below is a list of affiliated and QOL-selected journals. 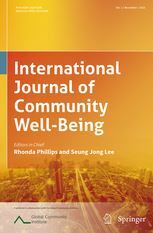 ISQOLS members can choose to receive a discount for the Social Indicators Research Journal and the Journal of Happiness Studies.